Sushi trays are used to transport sushi to your home, friends or anywhere you want to take your delicious sushi! 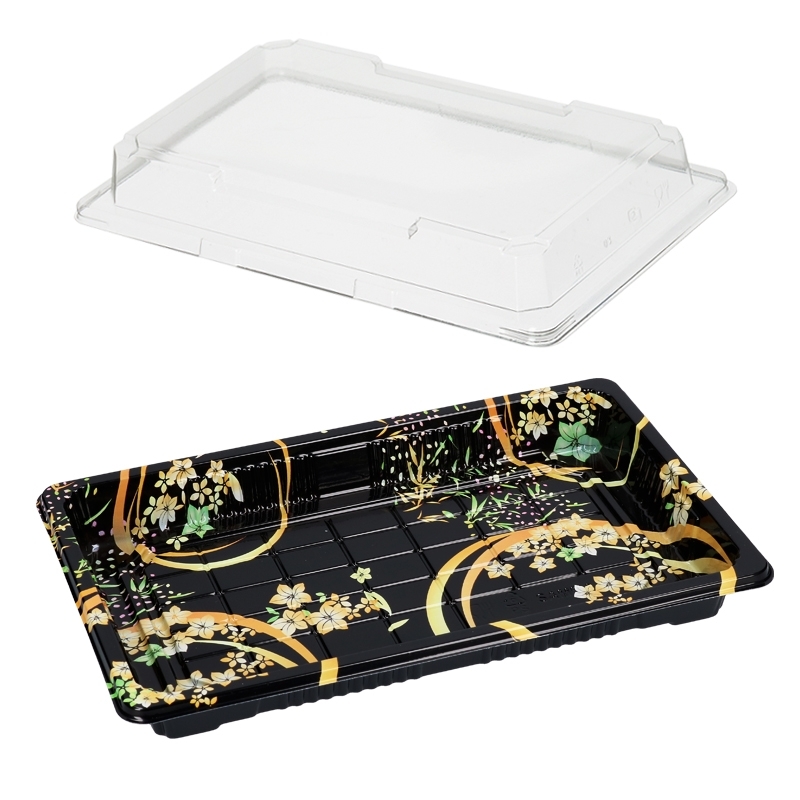 Many sushi or Oriental restaurants use these trays because they offer the best presentation for the sushi. Moisture can leak down in the special bottom of the tray. The lid closes perfectly while still being easy to remove. We offer typical Japanese style sushi trays in combination boxes of lids and trays and even the luxury A, B, C en D trays made of APET material.